Support almost all video formats. customize the DVD menu as you like. Extract audio from videos in many formats. 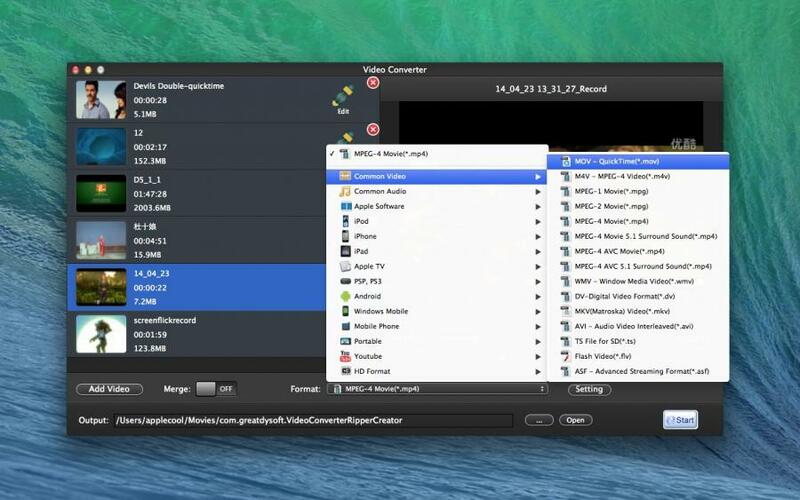 crop video, clip any segments, merge multiple files into one. Add watermark on your video. Suit your player screen resolution, including 16:9, 4:3, or full screen. Video Converter + DVD Ripper + DVD Creator is first app on app store to contain professional video converter, DVD Ripper and DVD Creator. Contains the main function of video and DVD. Video Converter + DVD Ripper + DVD Creator contain Video Converter, DVD Ripper and DVD Creator, lets you quickly and simply convert your video, audio files and DVD Folder to all popular formats. Lets you burn videos to DVD and watch on DVD player or TV. 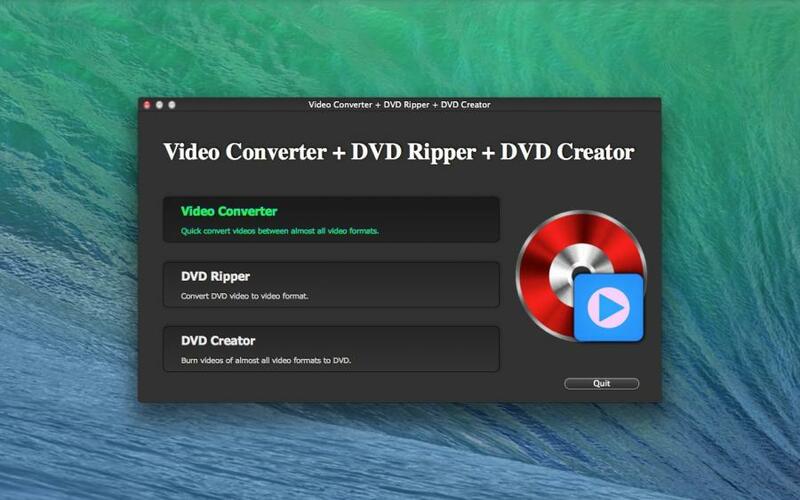 Video Converter + DVD Ripper + DVD Creator is the best video and DVD tool, you will love the software. Handles almost all video and audio file types and converts them so they play on your favourite devices. Export video on your local and share with your friends, Facebook or Youtube . 1. Support almost all video formats import and export contain MP4, AVI, MOV, M4V, FLV, WMV, MPEG, MPG, RMVB, TS, MKV, RM, F4V, 3GP, 3G2, 3GP2, TP, TRP, MTS, M2TS, DAT, DV, MOD, ASF, NSV, EVO and many more. 2. Support export devices contain iPod, iPhone, iPad, Apple TV, PSP, PS3, Android, Mobile Phone, Portable, Youtube, HD. 3. Batch processing - queue up and convert as many files as you like in one go. 5. 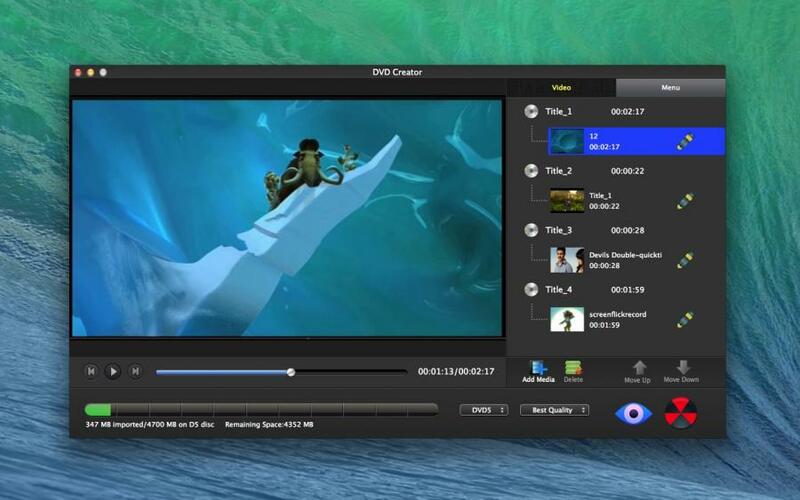 Convert HD video formats to other HD video formats. 6. Crop, trim, rotate videos, set special effects, etc. to instantly enhance your videos. 7. Choose merge videos into a video. Can rip DVD movies to video or audio format . It helps you convert DVD to almost all video and audio formats. It supports conversion for portable devices and also provides optimized output setting for iPod, iPhone, iPad, Apple TV, PSP, PS3, Android, Mobile Phone, Portable etc. 1. Support import contain DVD, DVD Folder, VIDEO_TS, DVD ISO, DVD MEDIA. 2. Save DVD to all popular video and audio formats. 4. Crop, trim, rotate videos, set special effects, etc. to instantly enhance your videos. 5. Choose merge all video titles into a video. The software can burn all kinds' videos and movies into a blank disc, help you to make a dvd and creates personalized DVD movies from footage of favorite family moments and burns movies and TV shows to DVD with high quality and at fast speed . This application provides a number of free yet gorgeous DVD menus, you can custom menu background music and background picture. Besides, this DVD burner lets you edit videos using tools like trim, crop, rotate, watermarks, etc. 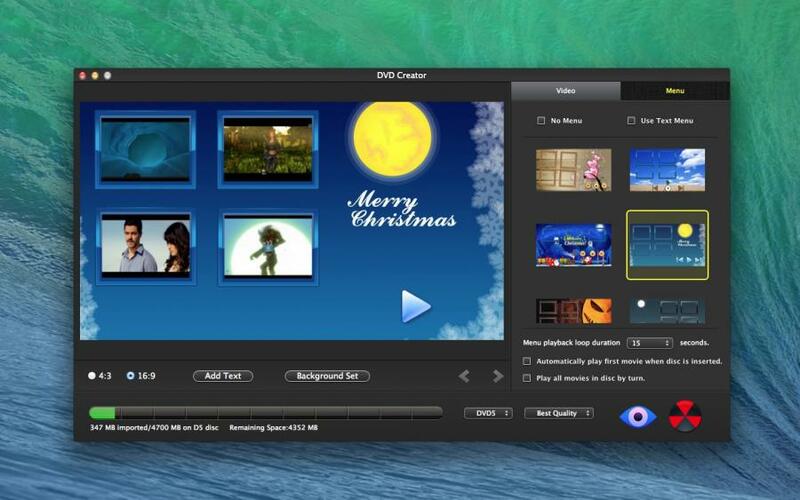 Get DVD Creator and share all your movies with family and friends now. 1. Normal play (insert DVD play menu, choose the title to play). 2. Automatically play first movie when disc is inserted. 3. Play movies in sequence without returning to the main menu. 1. Support video formats contain AVI, Mp4, MOV, M4V, FLV, WMV, MKV, RM , MPEG, TS, RMVB, TP, MTS, M2TS, MPG, Dat, 3GP, 3G2, 3GP2, dv, mod; f4v, ASF and many more. 2. Export to DVD Folder, DVDMedia, ISO file or burn to DVD. 4. Custom title frame picture on menu. 5. Provide many menu themes. 6. Preview how your DVD will display before burning it. 7. Support DVD 5 and DVD 9 to burn videos. 8. Custom menu size 16:9 or 4:3. If you have some problems,Please send an email to chaoyuemesoft@126.com I will solve these issues as quickly as possible.